Rob has established himself as one of Super League's most consistent performers over the past few seasons. 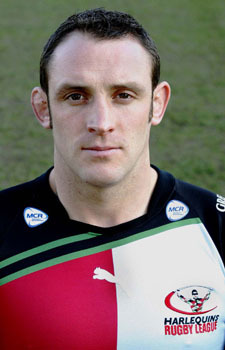 Having started his career at his home town club Whitehaven, Rob joined Harlequins in 2002 and is the clubs longest serving player and captain.An accomplished goalkicker, Rob is normally used a strong running loose forward but he can also play in the second row, as a centre or at stand off. Rob was named as England captain by Paul Cullen for their victorious 2006 Federation Shield campaign and his excellent form for Quins saw Rob selected to represent his country at the 2008 World Cup. Challenge Cup 3rd Round draw made.